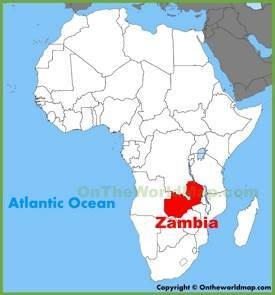 The Republic of Zambia or for short Zambia is located in Southern Africa. 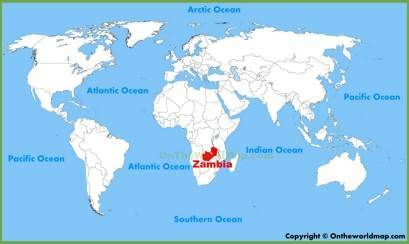 It bordered by Angola to the west, Botswana, Mozambique, Zimbabwe and Namibia to the south, the Democratic Republic of the Congo to the north, Malawi to the east, and Tanzania to the north-east. 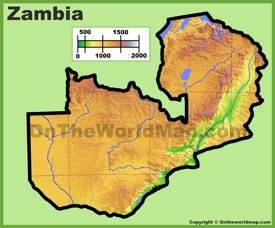 Zambia has a few major rivers: Zambezi, Kabompo, Kafue, Luangwa and Lungwebungu. 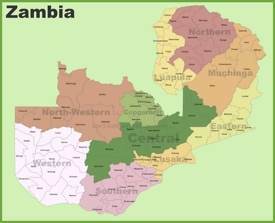 In the past Zambia was governed by administration in London. It has one of the fastest growing economies in the world. 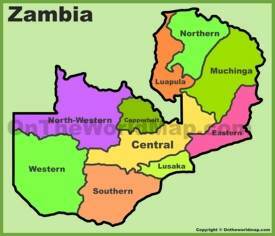 The capital and largest city is Lusaka. The official language is English. 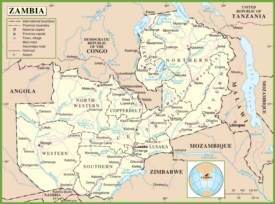 There are a few regional languages: Afrikaans, Bemba, Chewa, Kaonde, Lozi, Lunda, Luvale, Nyanja and Tonga. 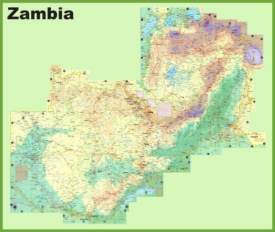 Area: 290,587 sq mi (752,618 sq km). Largest cities: Lusaka, Kitwe, Ndola, Kabwe.